Paris is the capital of France and it is one of my favorite cities! It is a city of love and romance. 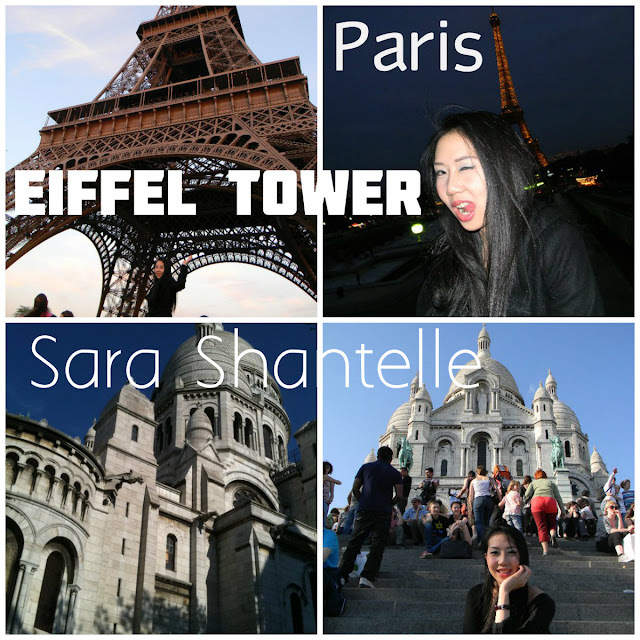 Everybody needs to visit the Paris Eiffel Tower at least once in their life time. I have heard many stories of people proposing at the Eiffel Tower. I know that it may sound Cliché but I honestly think it is an extremely romantic idea. This is unlike the typical Singaporean man that would "PROPOSE" to his lady by asking "Shall we apply for a HDB flat together"? 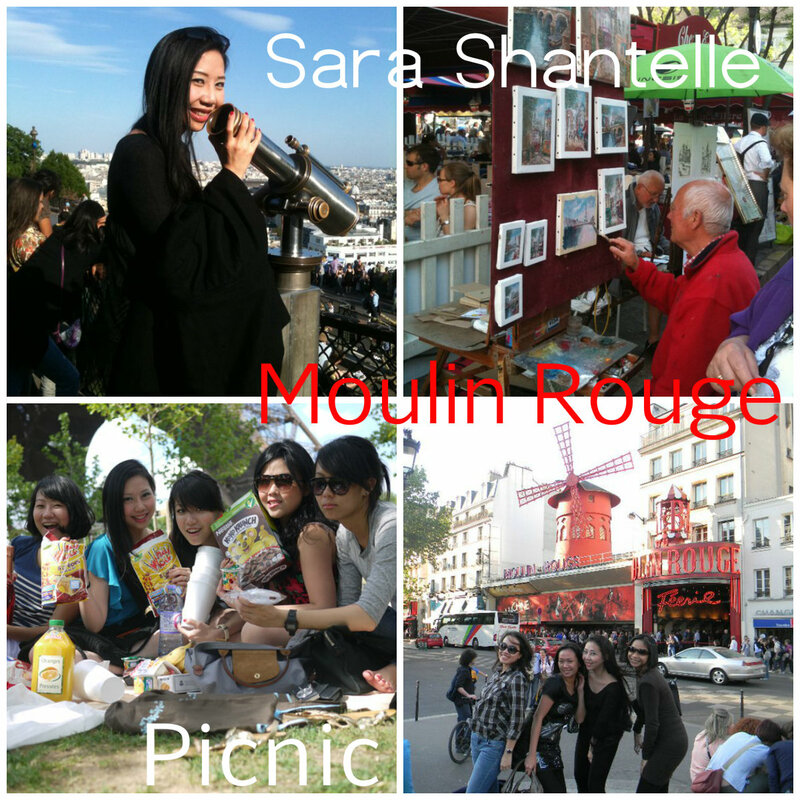 We had a picnic with fruits, snacks, wine and champagne below the Eiffel Tower on the fresh green grass! We bought all our food and snacks from the super market near our hotel and took a the METRO Train there. The nearest Train Station would be Champ de Mars / Tour Eiffel on the RER C line. The picture you see above is the La Basilique du Sacré Coeur de Montmartre located on top of the Montmartre hill which provides a breath-taking view of the city. It is also the Highest Viewing Point in Paris. Climbing to the top of the hill was tough! It was a long walk, but there were a lot to do on the way up! You would see painters sitting by the side of the roads, painting flowers and building and there are numerous bakeries and ice cream shops to help you snack to you walk all the way up! The amazing view from the top was worth the climb. After all, it was a great workout. Please wear comfortable shoes especially for ladies, no heels allowed! - Abbesses - Line 12 (Green). - Anvers - Line 2 (Blue). - Lamarck Caulaincourt - Line 12 (Green). A visit to Paris is incomplete unless you have tried their most famous Ladurée – France's infamous luxury cake and pastry emporium which began in 1862! More info at http://www.laduree.fr/ They invented the double-decker macaron and are the best makers of macarons in the world. The good news is that Laduree will be opened in Singapore in 2013! You can find their first and most famous Ladurée Tea Room at Champs-Élysées. 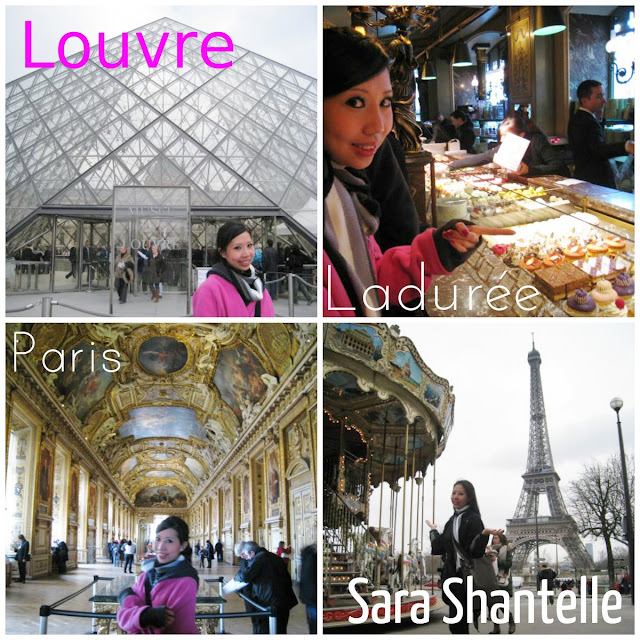 LOUVRE MUSEUM is the home of MONA LISA. Visit http://www.louvre.fr/en for more info and buy your tickets online to avoid long queues. This museum is a walking maze. It is huge, I took more than 5 hours touring this place, and yet I still have not completed seeing every single piece of ART there. This is where many movies were filmed, where paintings and statues come alive. The MONA LISA is housed in a grand bullet proof glass. Many tourists flocked from all around the world just to catch a glimpse of the Mona Lisa by Italian artist Leonardo da Vinci. You practically have to wrestle with large crowds just to steal a peak at this fine art piece. The BANANA CHOCOLATE Crepe in Paris is a must try as it is extremely delicious. They have quite a few crepe stalls along the streets. Having their crepe is a must in the cold weather. Walking around Paris is amazing and relaxing especially in the Champs-Élysées area. You can see couples walking around hand in hand and take in the magnificent beauty of the Paris city. The famous Arc de Triomphe is pretty much walking distance away in the nice cold breeze. It is built in remembrance of those who fought for France especially in the Napoleanic wars. It is a revered patriotic site. 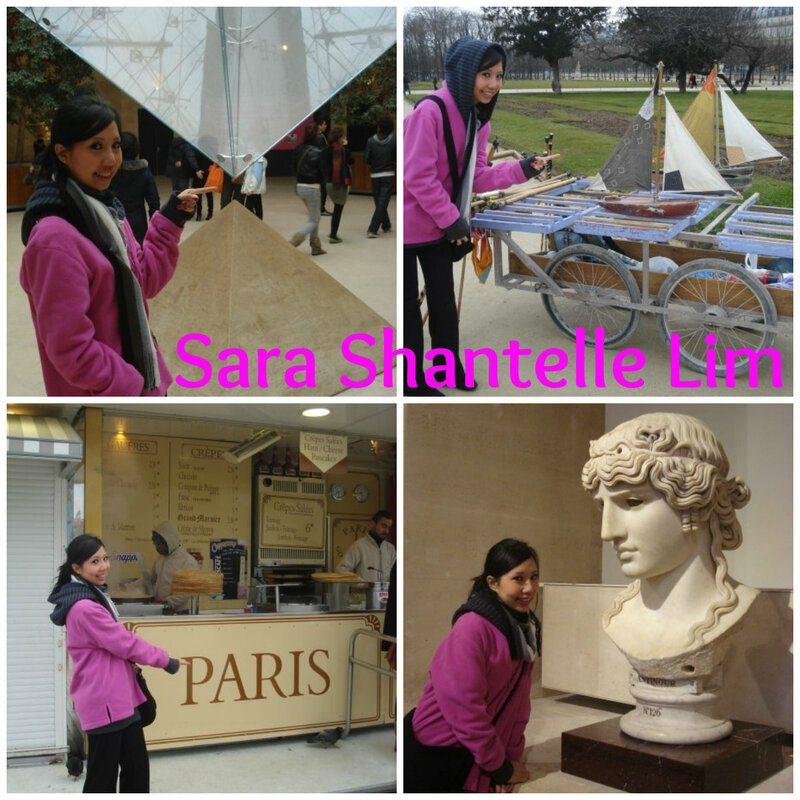 It is situated in the middle of Place Charles de Gaulle, also known as the "Place de l'Étoile". You can find it at the western end of the Champs-Élysées. 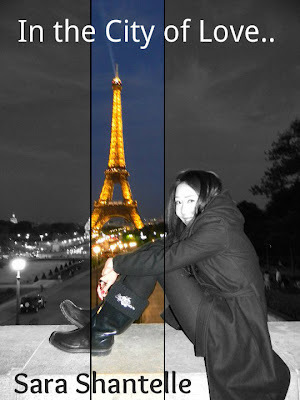 Visit http://www.arcdetriompheparis.com/ for more info.